Chocolate, pastries, and a coffee on a Fall day. What could be better? Thierry Cafe sent me this announcement of their seasonal pastries which look delicious and I’d like to pass along to you. Vancouver, B.C. (September 18th, 2017) – Make your way to Thierry Cafe for a taste of autumn with the release of the season’s most delicious sweets. Chef Thierry Busset has been busy in his kitchen crafting a line-up of artisanal cakes and pastries that sing with seasonal flavours, from caramelized apple to spiced pumpkin. Choose from a selection of seasonal cakes like the Pistachio Nut Cake that is a composition of pistachio jaconde, ganache, and buttercream studded with a mix of candied nuts. Or for those with an affection for choux pastry, try the famed Paris Brest with its praline and rich hazelnut cream filling. Thierry’s Mont Blanc is a concerto of flavours combining chestnuts, meringue, and fresh whipped cream, and the classic Coconut, Coffee and Chocolate Tart is a flavoursome trifecta. The Seasonal Creme Brulee takes a twist with hints of pumpkin and is a rich, decadent dessert for the serious sweet tooth. 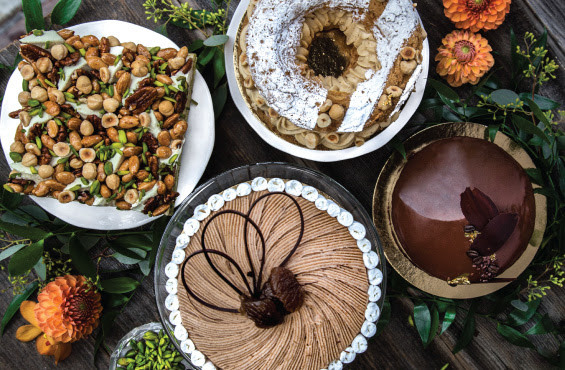 All full cakes are traditionally French, with that unmistakable Thierry flair, and are offered in-store from October 1st in multiple sizes ranging from $28.95 to $57.95. 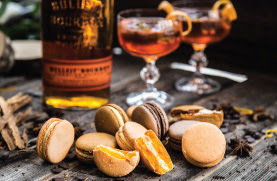 Macaron lovers will be delighted with the fall season’s newest flavours like Bailey’s Hot Chocolate, Pumpkin Buttered Rum, and Spiced Old Fashioned. Silky, smooth, and intense flavourings are the perfect complement to an espresso or steaming cup of hot chocolate enjoyed on the year-round patio. Pick and choose your favourites from $2.50 each. 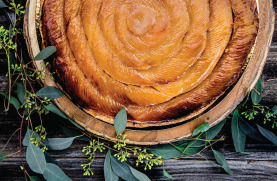 Thanksgiving celebrations wouldn’t be the same without one of Thierry’s seasonal creations such as his signature Apple Tart from his days with Chef Marco Pierre White, his luscious Chestnut Tart, and his delectable Pear Bourdaloue. Pick up any of these tarts from October 1st onwards and dazzle your guests with a fitting finale to your fall harvest dinner — they pair well with turkey, too! Choose from a variety of sizes and prices from $24.95 to fit any party size. Thierry Cafe is located at 1059 Alberni Street and is open from 7 am to midnight on weekdays and 8 am to midnight on weekends and holidays. Tantalize your taste buds at several restaurants in the Yaletown neighborhood downtown Vancouver. 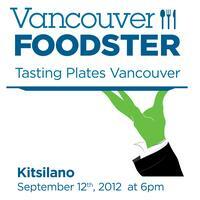 This tasting extravaganza goes from 6pm until 9:30pm and is presented by Vancouver Foodster. Visit each of the participating restaurants at your leisure by walking, bike, moped, car, or carpooling. Registration: Bella Gelateria Yaletown -this is where you will show us your printed or digital tickets and will pick up your Tasting Plates Cards. An edible gallery of all things chocolate displaying only the finest of the world’s chocolates, specializing in Single Origin and Estate chocolates, and, treats pairing fun & unusual flavours with chocolate. Since opening in 2003, Ganache has established a reputation for its creative modern twists on classical recipes and desserts. This popular Kitislano juicery known for their organic smoothies and cold pressed juices on tap, opening soon in Yaletown. Advance Tickets: $40 per person. $120 for a 4 pack of tickets or $162 for a 6 pack of tickets (get a group of your friends/family together and save by purchasing a 4 pack or a 6 pack). 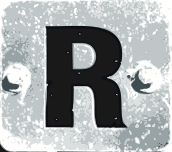 Regular Tickets $50 per person after October 12, 2014. I mentioned in my previous post on martin’s marvelous naturals crisps paired with wine that I would be covering other samples that I received. 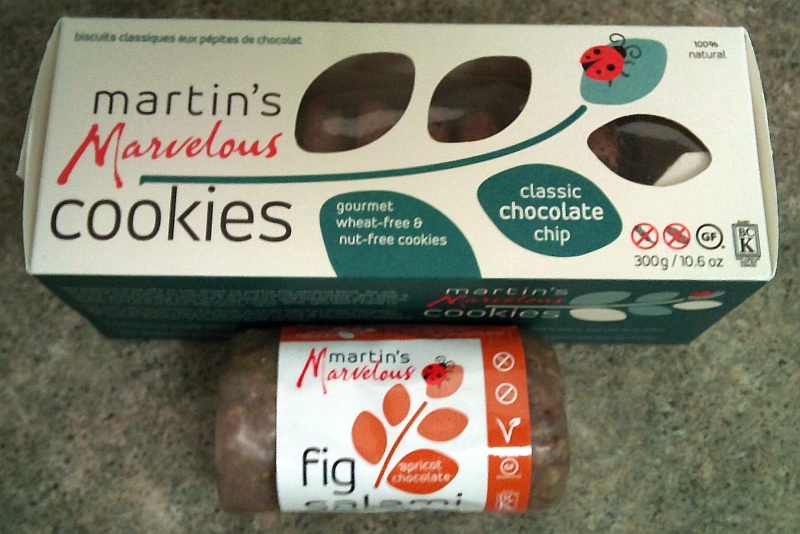 In this case it is their Fig Salami with apricots and chocolate and their Chocolate Chip Cookies. Luckily I inherited a chocolate chip cookie gene from my grandmother! The salami is wrapped in a wax covering. It was recommended to chill the salami in the fridge before slicing, which I did. A slice into the salami reveals a lot of texture. You can seed the various seeds, plus chunks of organic, free trade chocolate chips. The salami also has a wonderful smell of both figs and chocolate. Peeling off the wax covering and taking my first bite, I got the crunch from the tiny fig seeds, plus the flavour of the fig, and the sunflower seeds. The second bite had a chocolate chip in. It is dark chocolate, with the characteristic bitterness of dark chocolate and no sweetness. This salami is fun to eat. I’d recommend having it as a dessert with guests after dinner. Maybe pair a Late Harvest Riesling from Mission Hill or some other favourite BC winery. Even some Tawny port may be a nice pairing too. My slice was about 1cm thick. I think that is probably a good size. I am not sure how it will affect your digestion if you eat too much at once (a veiled hint). Thinking out loud, you may want to try to make a gluten free cookie with a slice of this in the centre, and two cookies on either side (like an Oreo type cookie arrangement). Looking at these cookies, I cannot tell they are gluten free. They smell nice and chocolately, plus some toastiness from the cookie. It is not crumbly. Holds together well. The dark chocolate flavour is nice. 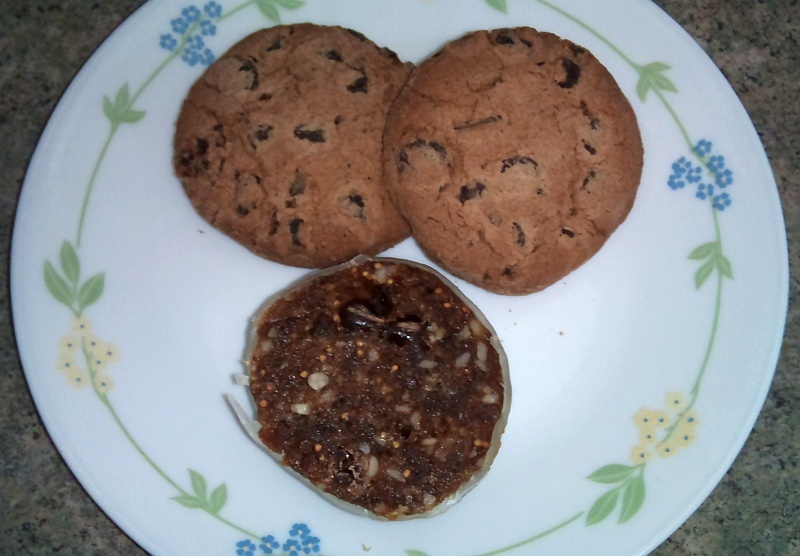 The flour part of the cookie has no sour or other odd taste that I sometimes get from other gluten free baked products, and the cookie is not too sweet (8g of sugar / cookie). The ingredients are straight forward: fair trade organic chocolate chips, pure oat flour, butter, fair trade organic sugar, buttermilk, baking soda, and sea salt. Excellent. I really am going to enjoy these cookies with my morning coffee (organic) and I hope you will too. martin’s marvelous natural website for more info. The latest Vancouver Foodster Tasting Plates Vancouver Fall Edition was last week, November 21. 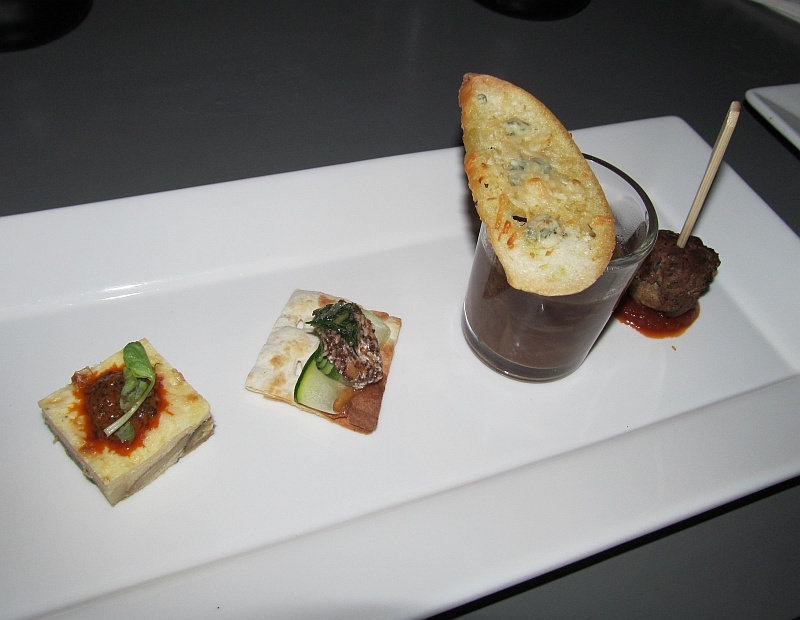 It was the most diverse tasting of food since the Tasting Plates started IMHO. There were 2 Chinese Tea shops, Moroccan cuisine, a raw oyster bar, a funky night club, a pizza food truck, and more chocolate (you can never have enough chocolate tasting), amongst other venues. Here are my favourites of the night. This night club on Main Street was quite surprising with their Asian inspired cuisine. I thougth their Mini Eggplant Sub (a take off of a Vietnamese sub) was very tasty. 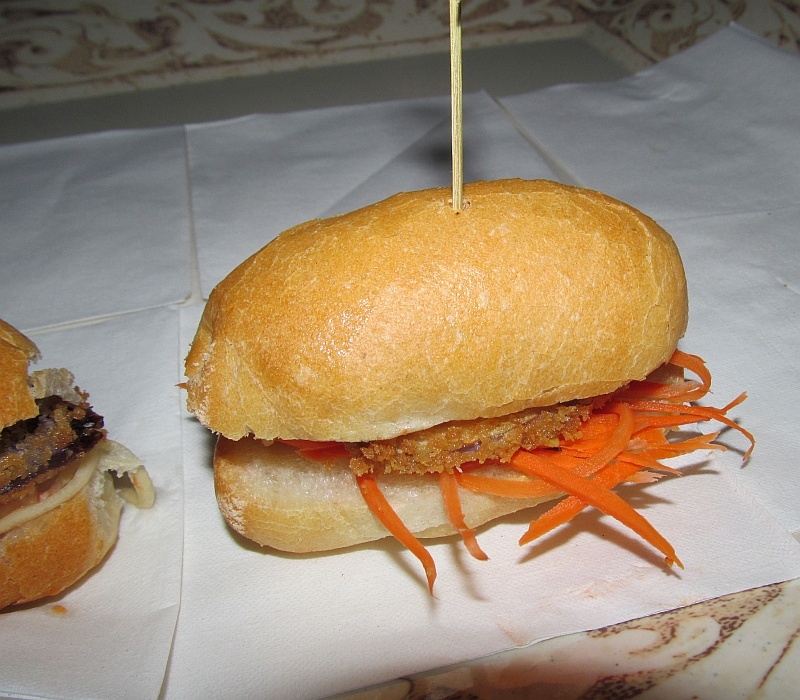 I liked the crunchy sub bun. Lots of flavour, and not too spicy. Also the Fukuro burger sliders were super ppoular. I like the wasabi slaw that gave the burger some heat. And the Mini Sakana Chipu, a Grey Goose battered ling code bite was done right; crispy and not greasy. It started out as a cool night, so walking into Harvest Community Foods, with their steam filled windows was welcome. 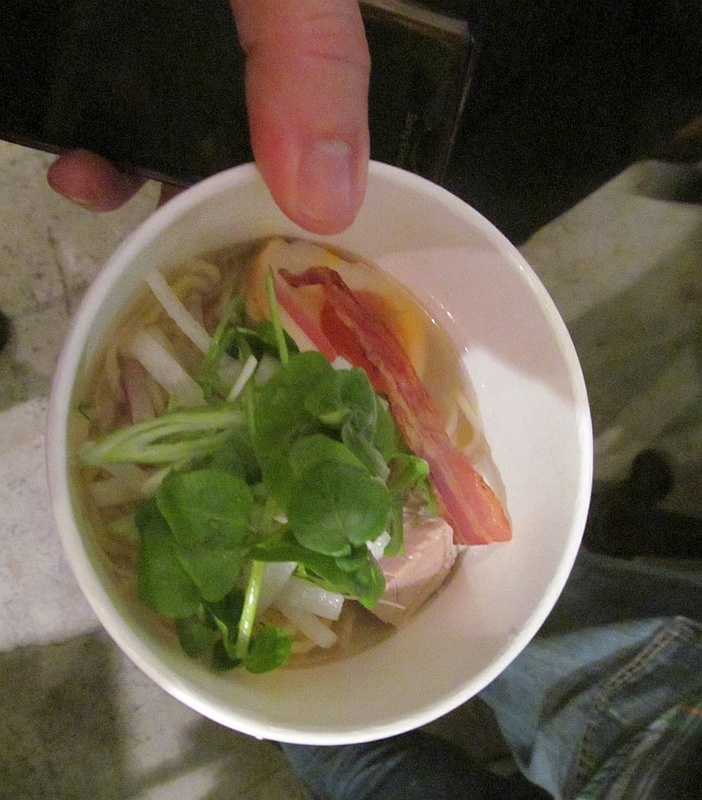 They served a bone warming ramen with Fraser Valley pork shoulder and SOLE food radish. 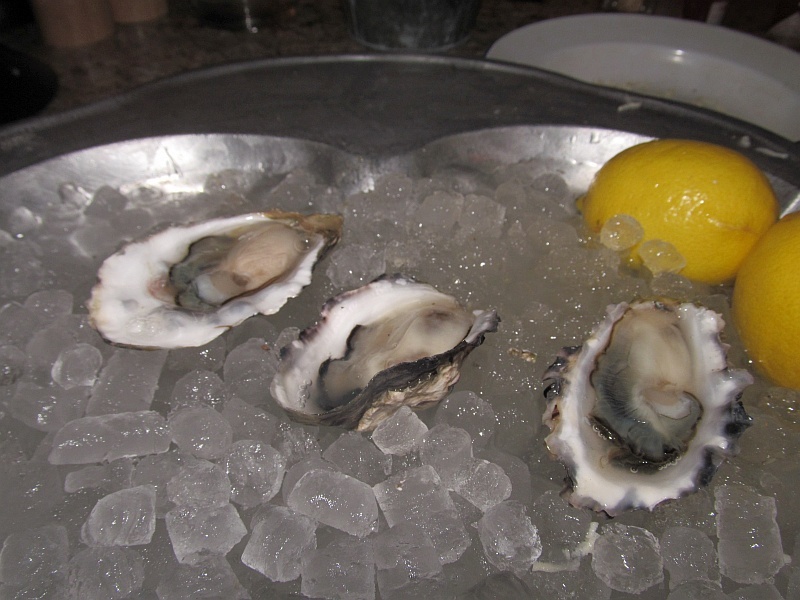 You can never go wrong with getting a fresh local beach oyster on the half shell, with a squeeze of lemon! This was very interesting. 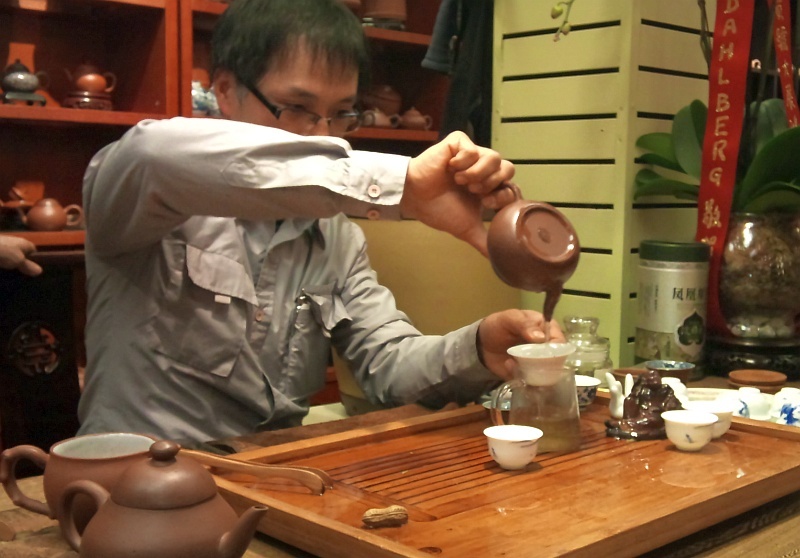 As each wave of people entered the shop, we w0uld sit down and learn a bit about brewing tea the Chinese way. I learned much about special clay tea pots, and size does matter (the smaller the better btw). Also the temperature of the water matters depending on which type of tea you are serving. We tried the Cloud Mist Green tea (served at a cooler temperature) and a Mini Tao Black Pu-erh tea (at a higher temperature). This was my last stop of the evening. 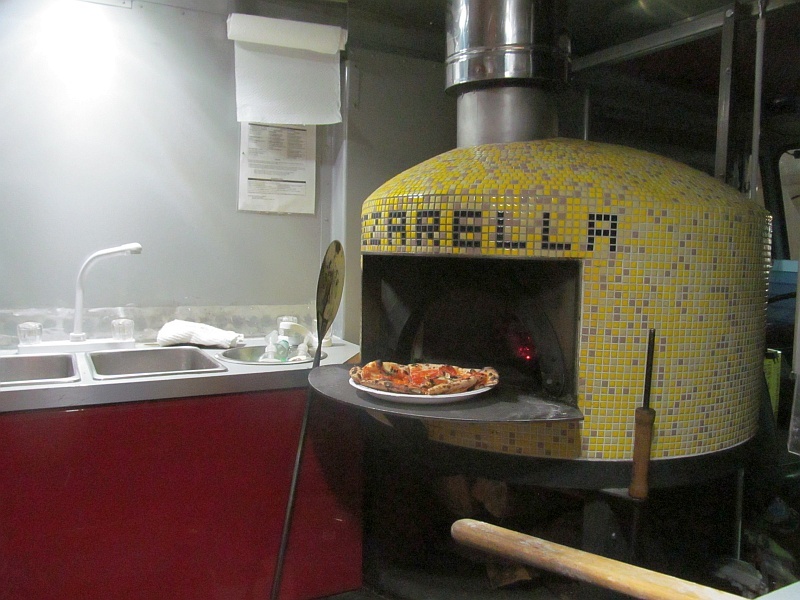 I was stuffed like a calzone, but had to try a slice of pizza from their wood fired oven. My slice was from a Margherita pizza, a blend of olive oil, garlic, fresh basil, fresh tomatoes, mozzarella and Parmesan cheeses. Nice thin crispy crust and flavourful toppings. Last but not least was dessert for the evening. Beta 5 offered a do-it-yourself hot chocolate milk. They served you a steaming cup of milk, and your choice of a stick containing a block of milk or dark chocolate. I went the dark chocolate route. It was very filling. 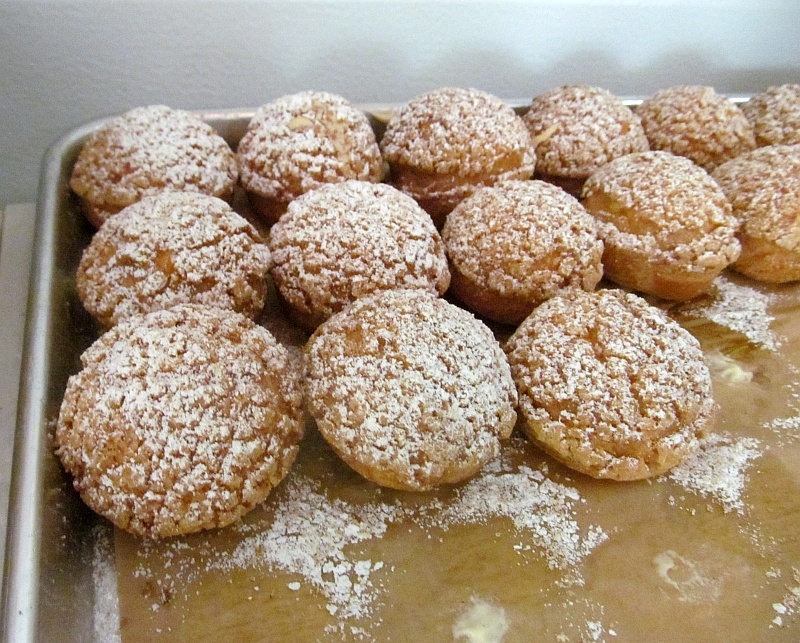 They also had assorted candies anda seasonal creampuff too. I hate to say it, but the cold and rainy weather will soon be upon us. As such our thoughts move to comfort food and more full bodied wines. Port and chocolate is a wonderful pairing on those fall/winter season evenings. Why not try this pairing with the Port & Chocolate event through Liberty Wine Merchants here in Vancouver? Details are below. Enjoy! Sweet Ports, decadent chocolates, raffle prizes and excellent company await. Proceeds to benefit Amateur Sports at the VRC. 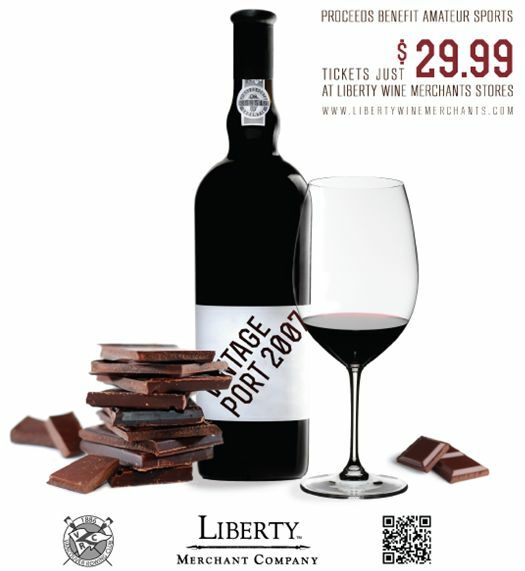 Liberty Merchant Company proudly presents its 21st annual Port & Chocolate Tasting. All proceeds from this “Tasting-in-the-Park” event is to benefit the Vancouver Rowing Club’s Amateur Sports Program. To date Liberty has raised over $96,000 for this program. 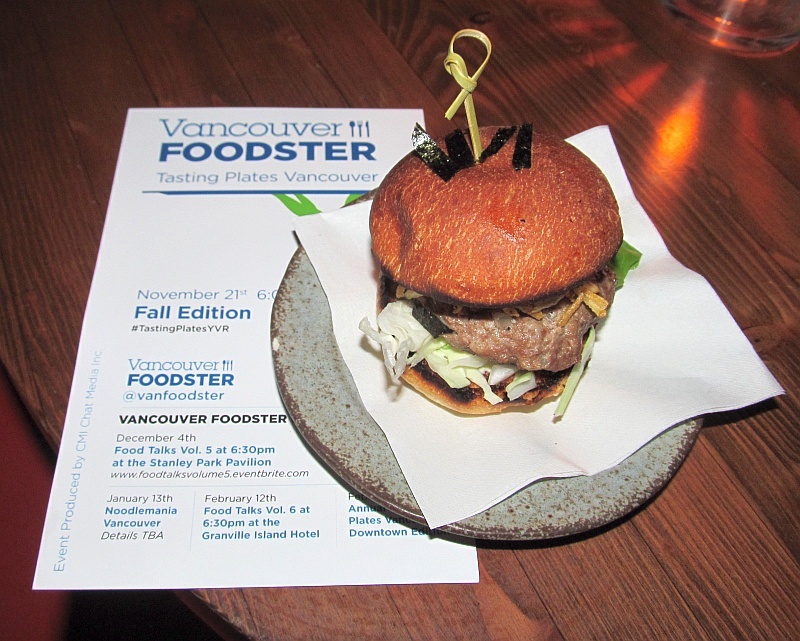 Did you have a chance to attend the first 2 Vancouver Foodster Tasting Plates? The first was held downtown, and the second on Main Street. The Main Street one, the last one, was particularly fun being during summer, so great weather as you venture from restaurant to restaurant. Here are my downtown, and Main St Tasting Plates reviews to give you an idea of what you can expect. 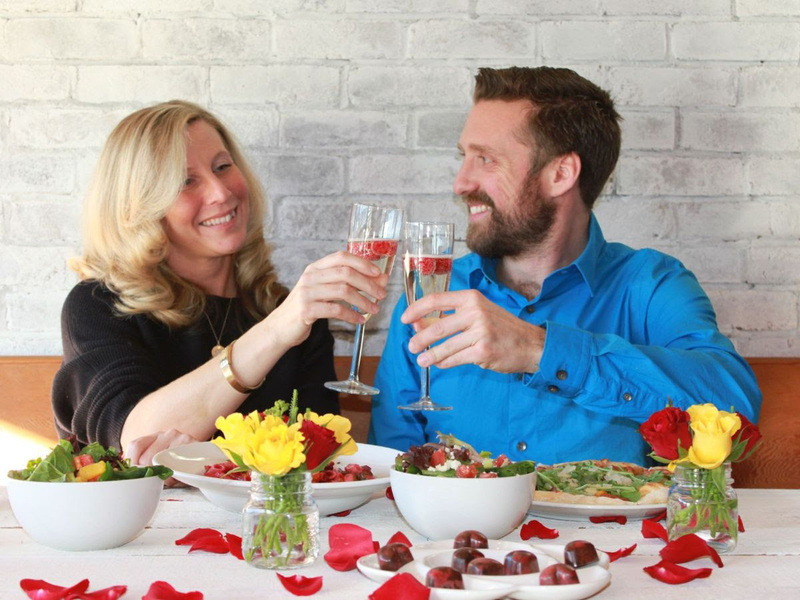 Enjoying food is a great social experience, so buy a ticket for your spouse, BFF, or anyone else you like to be with. As many restaurants offer several tasting plate options, you and your friend(s) can select different items then share a nibble of each. So you get to try more than just what you could on your own. I always bring a friend. I hope to see you in Kitsilano! Here is the tasting announcement, along with a list of participating restaurants. Enjoy. 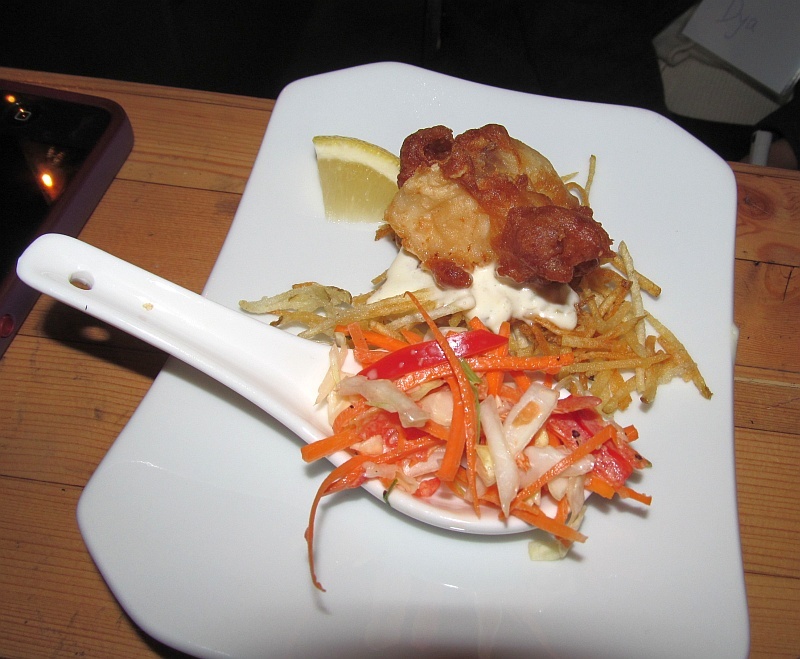 Tantalize your taste buds at several Kitsilano restaurants! 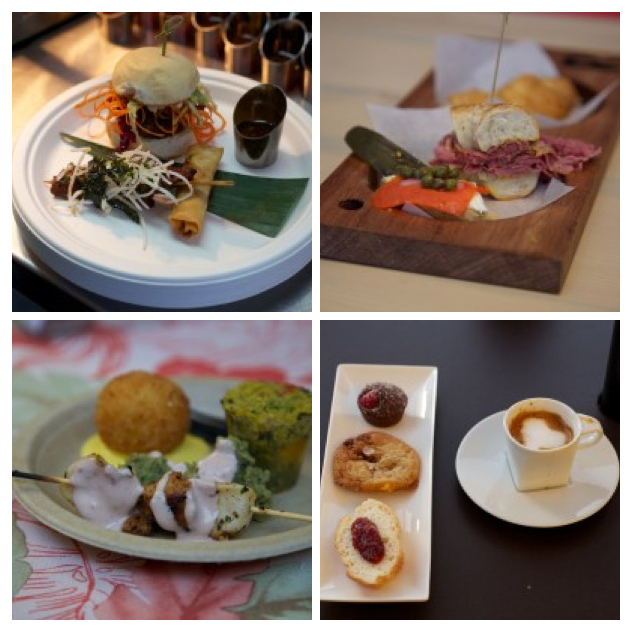 This evening tasting extravaganza goes from 6pm until 9 pm and is presented by Vancouver Foodster. Tickets: $30 per person (eventbrite fee extra) before September 7, $100 for 4 pak of tickets or $120 for 6 pak of tickets (get a group of your friends/family together and save by purchasing a 4 pak or a 6 pak (eventbrite fee extra) before September 7th. Tickets $40 per person (eventbrite fee extra) after Sept 7– ticket price includes tasting plates at each of the participating restaurants throughout the evening. A donation of $3 from each ticket purchased will go to support Farm Folk/City Folk. (Beverages are included at some restaurants which will be noted, you are welcome to purchase wine, beer, cocktails or mocktails at each of the participating restaurants). 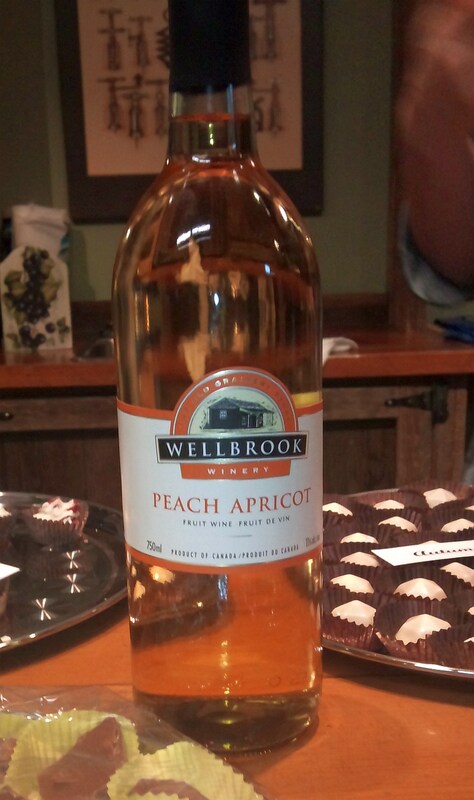 It was just last week that I went with a friend to attend the Wellbrook Winery Wine and Chocolate tasting. 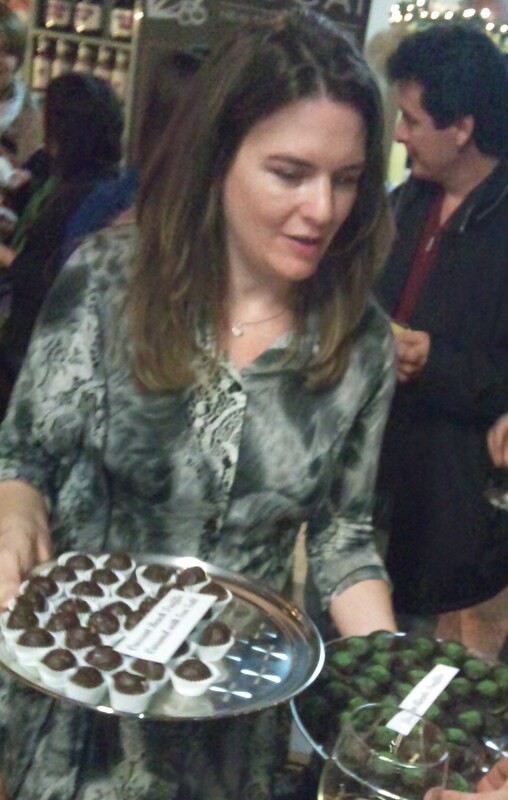 The chocolates were hand-made by artisan chocolate maker Dione Costanzo of Dione’s Chocolates from Crescent Beach, BC. I had not yet been to Wellbrook Winery, but had heard about their wines. They produce a range of fruit wines, with the fruit coming of course from Beautiful BC. It was a rather informal affair, where you walked about and chatted with the other attendees, sipping wine, nibbling chocolates, and finding out each other’s favourite pairings. Kangaroo with fruit compote paired with Wellbrook’s Reserve Blueberry wine. There is dark chocolate mixed in with the fruit, so this is still a wine and chocolate pairing. The kangaroo was quite tender, and went very well with the fruit & chocolate compote. The Reserve Blueberry wine had a bit of smokiness to it, and toned down blueberry flavour. Quite dry, but without the tannins that you would get in a red grape based wine. The fruit in the wine with the compote meshed together well. Chicken Mole tart paired with Wellbrook’s Reserve Blueberry wine. 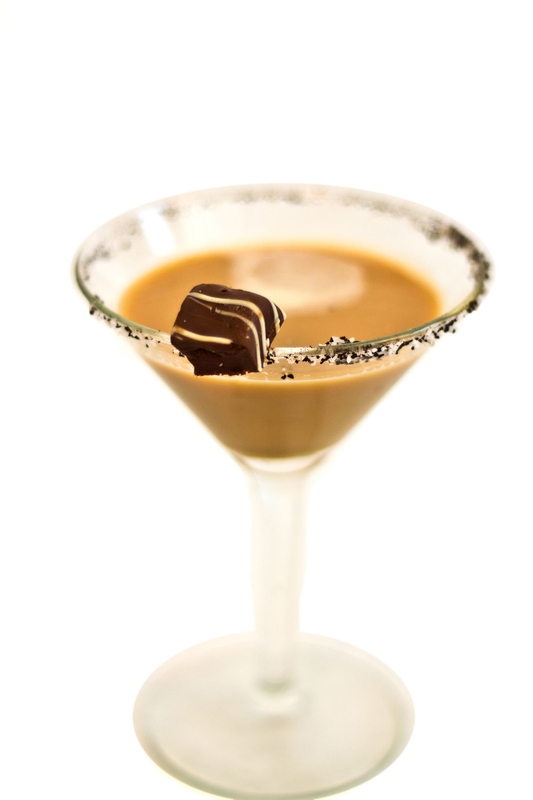 The chocolate in this pairing is in the Mexican mole sauce. This tart had a wonderful smoky chipotle flavour and medium spice. I think the consensus amongst the group was that this was the better of the two pairings. The smokiness of the wine and the chipotle made the magic happen. Wellbrook’s Rhubarb wine paired with Strawberry Delights, and Gourmet bark white chocolate with BC cranberries. The rhubarb wine was light in body and flavour. I was expecting this wine to have lots of sourness, but was pleasantly surprised that it was not there. On the pairings, half of the people liked the strawberry delights and half liked the white chocolate with BC cranberries. I think the tartness of the cranberries, the creaminess of the white chocolate and the lightness of the rhubarb wine worked well together. Wellbrook’s Peach Apricot wine paired with Autumn Spice Ganache, and Gourmet bark milk chocolate with crystalized ginger. I really enjoyed this wine. It tasted like dried apricots and had a high level of acidity without making you pucker. It was very fruity and I’d place it as medium bodied. I preferred this wine with the Autumn Spice Ganache. I liked the sweet spices from the chocolate mingling with the stone fruit flavours, plus the acidity from the wine made the chocolate and spice more flavourful. The ginger was ok for me, but it did not have enough ginger flavour for me. I know others mentioned that there was too much ginger for them. Wellbrook’s Ice Apple wine paired with Crescent Beach truffle caramel with sea salt, and green apple truffles. The ice apple was not as thick and syrupy as a grape-based ice wine, but it still had more body, apple flavour, and sweetness than I would expect from a dry, apple wine. Everyone really liked this wine with Dione’s Crescent Beach truffle. I think this may be her signature chocolate. It was also a hit at the previous wine and chocolate tasting I did with her. The green apple truffle was a bit too sour for my taste and did not mesh well enough with the ice apple wine. At this event, we also had their new wine maker, Mr. Laurent Lafuente, to talk about the fruit wines, and his experiences around the world. He even gave us a sip of their newly fermenting cranberry wine. It was quite interesting to taste a wine in mid-ferment. If you have never been to Wellbrook Winery, they are located at 4626 88th Street, Delta, BC. I have been told that they have lots of fun tastings and food events during the winter and summer. 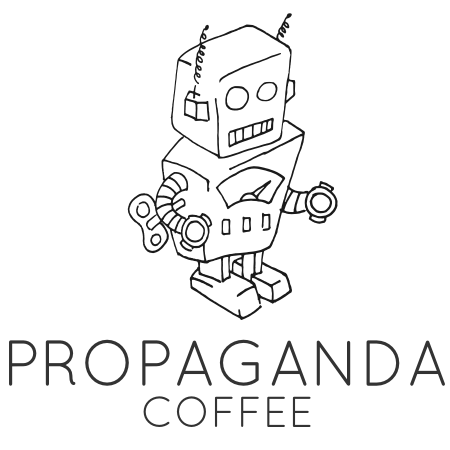 Try to get on their email list. And don’t forget Dione’s Chocolates. Probably both are good presents to grown-up friends and family. Enjoy!